Rosemitha grew up in Port au Prince. She was taken there by her aunt – her mother’s sister – when she was a little girl. She had been living with her grandfather, because her mother died when she was a baby. The older man’s wife was mistreating her. Apparently, she didn’t want Rosemitha around. She would threaten to kick her out of the house, sometimes even scattering the girl’s clothes around the yard outside their home. Her aunt never sent her to school, but she took care of her otherwise. She had her first child while she was living at her aunt’s house. The child’s father wasn’t helping her, so she managed a small business selling rum and cigarettes to contribute to their support. When a friend heard that a nearby orphanage was looking to hire someone, she hurried to apply and was hired. She gave up her business to clean and help in the orphanage kitchen. The job lasted until she went to visit her aunt one day without getting permission from the pastor who ran the orphanage. He decided to fire her. By then, the orphanage had taken in her first child, so she went back to her struggle to support herself at her aunt’s house. She returned to her home near Kaledan, in the first section of Savanèt commune, when her grandfather grew ill and needed care. While she was with her grandfather, she had another child. Once again, the child’s father left him in her care. That’s when she met Patekwe. He too had a child when they got together, and the three of them lived with Patekwe’s mother. Patekwe would support the family by traveling to the Dominican Republic to work while his mother and his wife stayed at home with the kids. By the time they joined the CLM program, they also had a child together. In their early months in the program, the family made good progress. The program gave Patekwe plenty to do. Rosemitha chose goats and small commerce, and he took care of Rosemitha’s livestock. In addition, he mobilized the resources they would need for home repair, and they used some of the money she received to invest in his farming. He decided he could stay in Haiti with Rosemitha, investing more of his time in farming locally. Their goats prospered initially. The three she received from CLM became five, including a pregnant female. They also bought a small pig. Rosemitha started a small commerce. She actually tried several different businesses while she was in the program. Her first attempt involved buying up plantains in the countryside for sale in the downtown markets in Mibalè or Laskawobas. The business was profitable. She started with 1500 gourds and had quickly grown it to 2000, even as she used profits to support the household as well. But she had a run of bad luck. She depended on the trucks that pass in front of her home as they descend along the road from Savanèt. On a couple of occasions, she was unable to find one when she needed it, and her plantains ripened. All she could do was sell individual bananas to local school children as a snack. It brought her business capital down to 750 gourds. So, she shifted her business model, buying onions and tomatoes in Kolonbyè, which were in season at the time, and lugging them to Savanèt, where the prices were higher. But the model never worked consistently, since the prices turned out to be hard to predict. Sometimes she would make a profit, and sometimes she would take a loss. So, she made another switch. She started buying kerosene and cooking oil buy the gallon in Kolonbyè, and selling both in small quantities in Savanèt. The profits were small but consistent, and after her experience with the plantains she liked the fact that her merchandise couldn’t spoil. Things changed dramatically for the worse as Rosemitha’s mother-in-law grew sick and then died. Her death meant that Rosemitha no longer had someone in the house to stay with the children if she wanted to go out to run her business unless Patekwe could take a day off from his work. And that was almost beside the point because the expenses of the sickness and the funeral drained all the money Rosemitha had to invest in merchandise. They also had to sell off their sow, most of their piglets, and a crop of beans they had just harvested. But what was worse was the loss she felt. Rosemitha was deeply fond of the older woman. “She was always the one that took care of me. When I had my child, she helped me and bathed me in the days afterwards until I could bathe myself.” She also seems to have given Rosemitha a supportive friend as she managed her relationship with Patekwe, the woman’s son. The loss left her feeling more alone. Only one of the children is now living with them. Patekwe sent his daughter to live with an aunt who lives near the hospital in Laskawobas where his mother died. 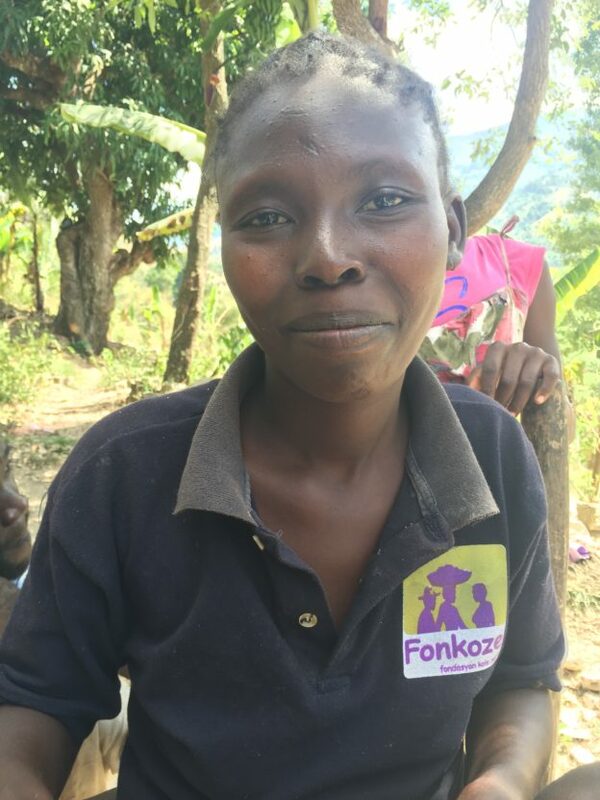 The aunt asked for the child, and Patekwe felt that the girl would be better off where she can go to a better school. It is a long hike over the mountain that rises behind their home, but he tries to see her regularly. Rosemitha sent her boy to live with her father, who lives close by and was alone. She still sees him every day, before he goes to school. Her goats have not continued to prosper. She has just one adult female now. The other, she says, was killed, along with its kid, by dogs. Her female has two small kids, and she tries get her husband to keep the three of them close to their home. Rosemitha told me that they recently decided to sell their last sow because it had never gotten pregnant. She wasn’t sure, though, what they will do with the money. And that’s her core problem. Her husband. He sold the pig, and she doesn’t feel she can even ask him what he’s doing with the money. “He was already a grown-up when I met him.” That might sound like a simple statement of the obvious, but the way she put it in Creole means more. It was her way of saying that, since they first met, he has been making decisions on his own. He likes to gamble, she adds, and is worried that the money is going to just disappear to pay for his habit. When I asked him separately about the pig, he told me that it died. She’s an example of one category of women who have trouble sustaining success after the program goes away. Such women are able to make progress while their case manager is working with them. In some cases, they make much more progress than Rosemitha. But because they never develop the power to assert control of their own means, all further economic progress depends on the kind of partner they have. And it cannot be surprising that the men of CLM are a very mixed bag. So Fonkoze is currently engaged with specialists in women’s empowerment in a thorough analysis of the program that is giving particular attention to gender relations. Its goal is to refocus the program on the full range of issues that affect women’s empowerment. Economic empowerment is, of course, part of the question. But we know we need to do better at psychological, social, and political empowerment as well. Only by facing our shortcomings squarely will we be able to strengthen our capacity to help women find and then remain on the path to a better life. This entry was posted in After Graduation, Chemen Lavi Miyo, The Women of Kolonbyè on February 6, 2019 by Steven Werlin.